Where does the milk we buy come from? How long does it take to get from cow to cup? And most importantly, can I trust that it will be safe to consume 100 per cent of the time? Milk is an integral part of our everyday life, and consequently, there are plenty of critical questions surrounding its production and consumption in Pakistan, with few clear answers. Nestlé Pakistan is one of the oldest brands in Pakistan supplying packaged milk, so when offered the opportunity to explore their farms, labs, and factories to understand how they maintain their quality standards, we packed our bags and flew from Karachi to Lahore for what turned out to be an eye-opening adventure. As it turns out, each sip of milk has a story to tell. The journey begins with little sleep, no breakfast and high spirits. The crew and I are headed to a small farm in the Okara district. It’s a 58 mile journey out of Lahore, with the view out the car window shifting from truly impressive infrastructure and roads to narrow, sandy streets and tiny houses with sparsely dressed children playing outside. This is where Shahbaz’s dairy farm is located. It’s a small plot with short boundary walls and a dilapidated gate. The cows are huddled under a shed, taking shelter from the scorching sun. I aim to do the same. I learn that the cows are milked daily at 6am and then again at 6pm, which regrettably meant that there was no chance I’d get to have the hands-on experience of milking one. Amid the mooing cows, buzzing flies and the zesty ‘aroma’ of cow dung, I meet farm owner Shahbaz. He’s a bit of a surprise; a tight black t-shirt, army fatigues and boots, a clean shave and perfect cropped hair is not how I pictured the average rural farmer. Shahbaz tells me he was once part of a bigger farm under the tutelage of his late father. After his father’s demise the farm was split among his family, leaving him with the six cows that surround us. Their daily milk output is small, but it sustains him and his family. Shahbaz says the milk from his farm was distributed through a middleman to various vendors and consumers for the first five years before Nestlé came to town. I probe him about the general environment, the health of his cows, the level of hygiene at what is perhaps the smallest of small farms to be found. “The milk doesn’t stay here long,” Shahbaz explains. In fact, the journey of milk at this farm is very short indeed. At 6am the cows are milked. The milk is poured through a mesh into sanitised containers, and by 8am a milk tanker arrives to transport the milk in a temperature controlled environment after putting it through a series of tests (the first of many, many more). We hit the road again, headed towards what team Nestlé has been gushing about. We move through the winding, sandy streets of rural Punjab, past lush, green fields and onto a narrow road with a ravine to one side and a ditch on the other. Eventually we pull up to Nestlé’s training farm, Sarsabz. As the gates open, two men with canisters of disinfectant approached the car and spray it down. After this, the crew and I are made to step in a box laid with a spongy material and doused in disinfectant. We’re also given Wellington boots for the tour. The measures being taken to even get close to cattle are greatly reassuring. I am greeted by Sohail, the manager of Sarsabz. He grins, noticing I am drenched in sweat from my previous visit. "Over here the cows are kept in a cooler environment than us,” he jokes. We walk through a well kept, lush field to the back of the farm where the cattle are housed. Sohail tells me the farm serves as a place to train and educate farmers on best practices in the dairy business, from the economics of farming to the intricacies of cow rearing. The training provided by Nestlé is all pro bono: The company benefits from the increased output and quality of milk. Sohail tells me that in the United States the yield is about 40 litres per cow, while in Pakistan we are at a low three to four litres when it comes to local cows and buffalos. Ouch. 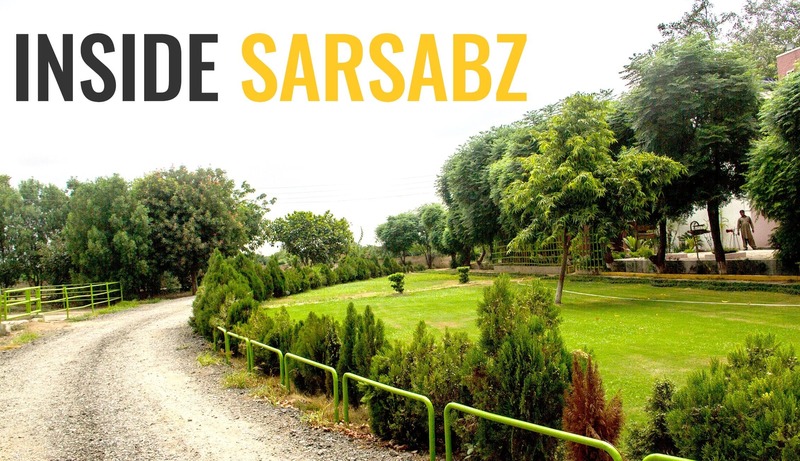 By comparison, the average output of cattle at Sarsabz is a far higher 20 litres. “But we are also third or fourth in milk production in the world,” he adds. 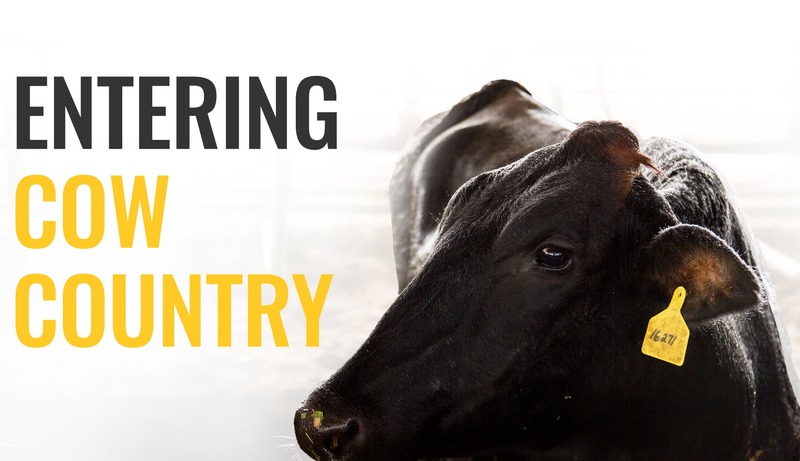 This high rank, despite low output per cow, means Pakistan has massive potential that could be realised once the industry at large modernises. At the moment, Sarsabz is a step in that direction. Inside the rather grand shed, I notice the cows here seem ‘happier’ than those over at Shahbaz’s farm. For one, the large shed is a great shield from the sun. Additionally, the animals are sprayed by sprinklers installed in each section to keep them cool. This is actually critical, as unlike the small farm, there are three different kinds of cattle housed here; the imported Australian Holstein Friesan, the Jersey and the cross between the two. At the time of our visit, it was a collective herd of 400, of which 180 were for milking. There are soil sensors to optimise irrigation for cow fodder. Bio-gas machines turn cow dung into fuel. A mechanised milking process speeds up milking and ensures high hygiene standards. At this point we’re treated to a grand feast prepared in our honour (thank you Sarsabz folk), and then we’re back on the road. It’s collection point time. Back through the narrow roads, under the gathering rain clouds, we arrive at Gagga Collection Point opposite a series of small farms in a village in Chak Gagga. The collection point – a cemented structure complete with fans and a milk chiller – stands out from the small farms with brick laden boundaries that we have passed. Two Nestlé representatives walk over to us to break down this next phase in the journey of milk. Dr Mohammad Sohail is a younger diligent man possessing detailed knowledge about the collection and chilling process. Mian Hammad Latif is a seasoned collection officer who has worked at Nestlé for nearly 15 years. We are briefed on the chiller, a machine used to cool down the milk brought to this point from nearby farms. The large silver tank with a 500-litre capacity is one of thousands of chillers spread across Punjab and Sindh, with capacities ranging from a minimum of 500 to a maximum of 2,000 litres. This is where the collection agent amasses milk from the suppliers, each of whom are categorised according to their quality and yields. The farmers transport the milk to the collection point atop donkey carts, bicycles or even by foot in some cases. The milk undergoes an organoleptic (sensory) test, which analyses its look, taste, feel and smell. If it is cleared, the milk is then tested for its composition. Nestlé Pakistan has developed a mobile application for this purpose, which is embedded in the smartphones of milk sourcing agents. The application captures milk purchase data from farmers, and once the milk has passed all tests and procedures, a confirmatory message is sent to them. Any milk that is rejected is not purchased. If collected milk spoils, it is disposed off by an approved third party. 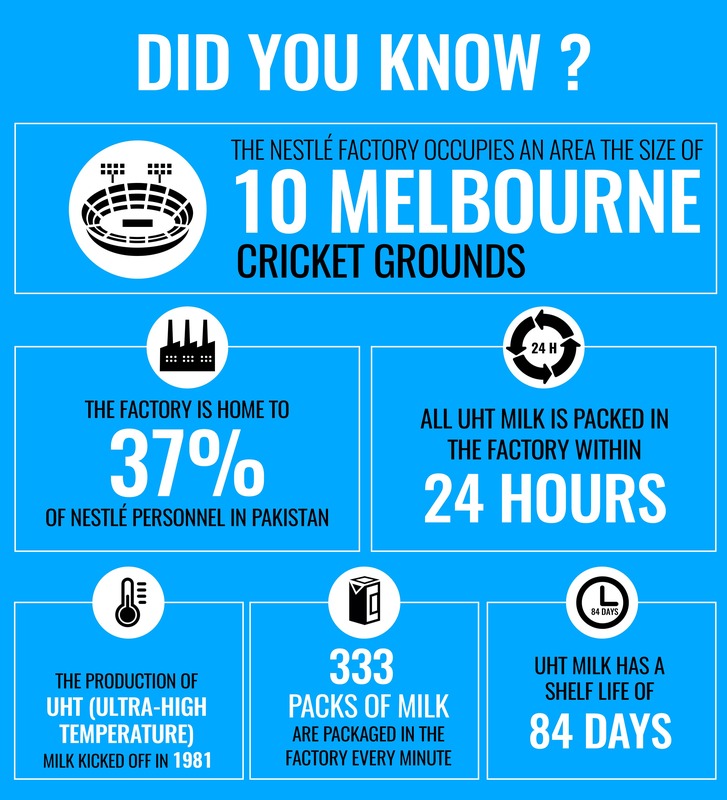 The milk that passes these tests is then chilled for transport and loaded onto a milk tanker headed to a regional centre for further testing (check out the infographic on tests further below) before it’s off to the Nestlé factory in Sheikhupura. And that’s where we’re heading. Leaving behind the sandy roads, our route to the factory in Sheikhupura is paved, smoother, less scenic. Heat and odour aside, I find myself missing the slow pace and relative peace of country life. I wouldn’t mind running a farm – as long as I can get a decent Wifi connection. Halfway through daydreaming, we reach the Nestlé multi-product factory in Sheikhupura. First impression: Woah. A behemoth. It's a massive complex, complete with giant towers which I'm told are storing milk. We are quickly ushered into a (thankfully air-conditioned) boardroom where an unassuming, middle-aged gentleman greets us. This is Abrar Ahmed, the factory manager i.e. head honcho around here. And he is loaded with facts and stats. Abrar tells us that Nestlé has another UHT milk factory in Kabirwala, Multan as well. Very cool. But where is Shahbaz’s 60 litres of milk? We’re given white lab coats, hygiene caps, oversized shoes and handed over to factory manager Mumtaz Hussain, our tour guide and “don’t contaminate the milk” overseer. I’m back out in the dead heat, heading to destination one: the milk tanker reception area, where our tanker is currently being hosed down and scrubbed by a man in white overalls. I’m told this is imperative to prevent the milk being contaminated before the tank is opened. First up is a 50 minute long procedure where milk samples are taken and checked to make sure the batch is at the right temperature and matches what was recorded at the collection point. This test is essential to check for the off-chance that the milk went bad in the container. The milk samples are then taken to a small quality assurance lab where they check for bacteria, freshness and whether there are any added sugars. They also conduct a urea test, which is used to check milk density to determine whether the milk has been tampered with. After a couple of more procedures to test the milk composition, a taste test is also performed. The milk is poured into a glass where the technician sniffs it for any foul smells before taking the shot to test for fat and taste. At this point, I get my first sip of milk that has travelled from farm, to collection point, to the glass of I now hold. I swivel, sniff and taste it, feeling quite the connoisseur. I am told more tastings are conducted up ahead. Hussain takes us onward to the Milk Receiving Unit (MRU) where the milk tanker is registered and the driver handed a key reader to confirm that each process was conducted and a go-ahead received. Beyond this, I’m led to another station where the milk is offloaded. A series of pipes leading from this station transport the milk in a highly automated (and visually captivating) system into a large room with metal conduits, eliminating any human or external contact with the product. After the initial heating, the milk is cooled down before moving onto its next destination. 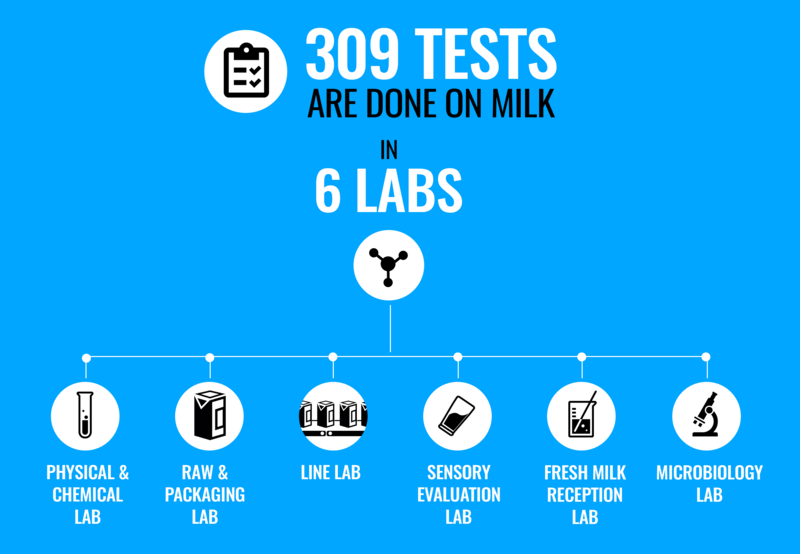 I’m ushered into a vast laboratory where we get a more detailed explanation of the whopping 309 tests Nestlé milk undergoes across all parts of the chain. It’s now fairly clear why their milk is one of the few deemed fit for consumption in Pakistan. When a company is conducting over 300 tests locally and abroad, the odds of bad milk reaching the consumer would be somewhere between infinitesimal and non-existent? There’s little room left to remain skeptical about quality here. After clearing the quality assurance lab, at long last, the milk is approved – this is what I’ll be buying off the shelves. To mark the moment, the heavens open up, literally, as the first part of a torrential downpour begins outside. Hussain guides us toward the packaging plant, with a short pit stop for another tasting session that is a part of quality control. This test determines whether the milk’s taste has altered post-packaging. I take eight shots of milk from different packages, with a few sips from ‘palette cleansing’ beakers of water in between. This is definitely another tour highlight. Entering the packaging plant is not unlike preparing to perform open-heart surgery. We are made to wash our hands. Very, very thoroughly. Inside, at the beginning of a large corridor is a room only select (‘VIP’) personnel are allowed to enter. “This is the last check before the milk is packaged. The people in there have the final word in whether the product is good to go,” Hussain tells us, with a fair amount of reverence. A few doors down, I’m led into what is possibly my favourite part of the trip so far. It’s a hall with a mechanised process for packaging the milk – at the speed of 333 packs a minute. It’s fascinating, and fairly hypnotic to behold. And just like that, it’s over. I’ve traversed a little over 200 kilometres with milk as my companion. In truth, I had expected a dull, sanitised experience as most arranged tours tend to be. But this was different. The journey of milk is a fascinating one; from the small farm, to Sarsabz, to the factory, I’ve come to realise that each pack of milk we consume has its own unique story to tell. As we make our way back to the airport, in the distance through the heavy rain and wind, I see farmers walking through the fields, making their way back home to rest. It’s another 12 hours to go before the cycle of milk begins anew. This feature was produced in paid partnership with Nestlé Pakistan. Great project. I wish milkmen buy from here to sell. After conducting tests on 16 brands of packaged milk given Ultra High Temperature (UHT) and pasteurisation treatment, the Pakistan Council of Scientific and Industrial Research (PCSIR) has found that only six are safe for consumption, the National Assembly was told on in 2017. Nestle is one of them. Whats different now? Great marketing piece.. would you care to clarify your position? This is a good exercise by nestle. However, having few cattle farm with approved SOP does not mean that every drop of milk in nestle bottle are going through the same process. Here I'm referring the collection method specially, of course once its collected nestle is doing its best. Good. Most important aspect of any product is its certification about quality standards right from initial production levels to the final consumer level . These certification process need to be closely monitored to nesure desired quality. In the case of milk it should start from the quality of cows, how they are reared, the food and living conditions, milking, storage&processing and finally its receipt at consumer level for final conception. The chain of custody has to be properly examined to ascertain quality. what are the preservatives and additives you add in the milk, kindly do mention those. Give us some credit; us simple people of Pakistan... We know very well what you guys and other companies put in your packed white drink (Not Milk). I would rather buy directly from milk farmers and pay them double if need be. Nice. We need more informative articles like this. and in all, we are still not sure by a third party independent inquiry whether this milk is actually milk and has no chemicals in it. These big companies are impacting small farmers by paying them around rs:50/liter and giving the consumers above Rs:120/liter. Nestle you have to do a lot more to win the market share. Pay more to farmers. And get less profit. There used to be a time when cows and buffaloes were brought to city areas, morning and evening, every day to be milked right in front of the buyers, to ensure there was nothing added to the milk. The price was probably higher by two annas but was worth it being the quality milk that every one wanted to purchase. Only fresh milk is good for daily intake. Good article. Need another on comparison of milk journey done by khulla doodth (fresh, open milk). However, Nestle has been cleared for drinking by courts of Pakistan so they must be doing something right. Can't comment on profit taking practices but it is clean. But please stop producing Everyday Whitener Powder. Its chemical powder nothing else. A disclaimer above - it's paid advertisement would have saved five minutes of scrolling! There is no comparison between fresh and UHT treated milk. Its just for elite, normal Pakistanis like fresh milk. No doubt, Nestle is providing one of the safest packaged milk products, but this comes at a much higher rate, how many poor families can afford to buy Nestle packaged milk for their Kids. 1 liter cost of Nestle milk pack is way higher than others. They need to make their products affordable for all Pakistanis. Interesting, but sometime just visit the Safi and Al-Marai Farms in Saudi Arabia and you will not only be impressed, but maybe forget Nestle Farm. The cows are milked four times a day. There movement is automated and the cleanliness and hygiene are topmost. Me & my family use Nestle Milk Pak since 2005. The milk is ok for drinking and tea making purposes. But still i am suspicious about this well known brand of milk . The critics say that this milk brings hormonal change in children resulting premature puberty stage in them. If any body can satisfy me in this issue please comment or support me if i am correct. No mention of removal of cream or fats from the milk. Powder milk is added to the leftover and then packaged. Great piece, now the same team must also visit few companies where cooking oil is manufactured and packed for our consumption, since this item seems to be taken in purview very soon by CJP through SUO MOTO. All Pakistanis would be more than happy after this action by CJP on basic necessities of the people of Pakistan for clean water, milk, chicken feed/farming and last but not the least the cooking oil which is also a daily consumption item by the people. A single wolf in sheep clothing does not mean the whole herd are wolves. I am a veterinarian and have worked at both dairy farm and milk processing units. Each and every thing is well monitored and SOPs are followed throughout the process. Pakistan is an agriculture country 57% population directly depends on livestock and its products. Let's eliminate the wolves from the herd. Professionals, experts, farmers and public can help in making the quality better and indicate the failure in the system. 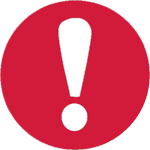 Those selling hazardous and non-nutritional white liquid in-place of milk can be identified through co-operation and co-ordination. The author tried but this still comes across as a marketing piece. As for the milk, what other choice do we city-dwellers have? At least Nestle is an established Swiss brand. I personally prefer Olpers though. A single wolf in sheep clothing does not mean the whole herd are wolves. I am a veterinarian and have worked at both dairy farm and milk processing units. Each and every thing is well monitored and SOPs are followed throughout the process. Pakistan is an agriculture country 57% population directly depends on livestock and its products. Let’s eliminate the wolves from the herd. Professionals, experts, farmers and public can help in making the quality better and indicate the failure in the system. Those selling hazardous and non-nutritional white liquid in-place of milk can be identified through co-operation and co-ordination. This is absolutely amazing and very engaging way of telling a story. Best of luck team Nestle. I must say that this is quite amazing virtual tour of the overall process. But we cannot neglect the most important question which is "What additives and preservatives are being put in during the process to let them drinkable for many days?" I do not know the intention of the writer, but i can tell you one thing for sure he do not know that how much dangerous this milk is. Good work. 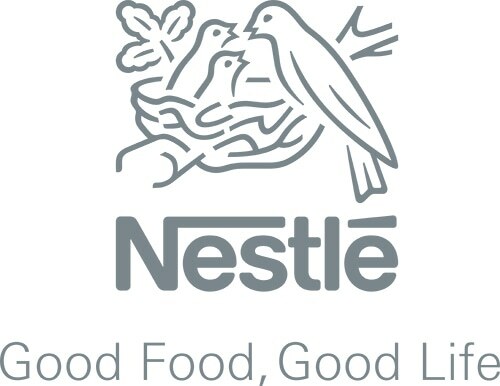 I wish Nestle should also have such like installation in KPK where they could also teach small cow farmers on the hygienic procedures of cow milk farming.Farmers here in most case oxytocin injections to increase milk yield.Now after notice taken by the Honorable Justice of Pakistan the sale of these has decreased. Is this true? If yes, we must get similar reports from other Milk production companies as well. @Arslan khan which area are u in. Level of investment??? Alas a foreign company is running the show, why not a Pakistani company. Give this task to government, it will be destroyed in no time.Like Karachi milk and Roti plants started by Ayoob Khan. @Haroon Oh really..... how do you know its the best in the world. Have you stepped outside Pakistan.? **Going to Ummrah or Haj doesn't count as stepping outside Pakistan. Well, I don't care about the Milk but what I care about is when will Pak stop this Sahib or Saab mentality. Call everyone by their name, who cares what title you hold. Bring everyone's life style up by coming up with a minimum wage and then establishing a salary range database for each grade level and force companies to pay salaries as per the range listed in the database. If they pay above the database range then it should be fine but if someone is getting paid below the database range then those companies should be fined. When everyone who works hard can live decently and people will start respecting each other no matter what job you do i.e. labor, janitor, officer etc so you do not have to rely on corruption then Pak will begin to change. @Abdul Khalique : Quality comes with high price! Nestle is not affiliated with Red Cross/Red Cresant ! Any high quality product is expensive: e.g: Evian water but one does not need to consume if can not affords ! I wish dawn could share the thorough report on the increasing high rated business of this UBER and CAREEM.how is it going ? where it will end ? how much earning the people are making ? and all the necessary information regarding this. This could be very much beneficial for all the people which want to make their earnings easy and safe. by the way it was a nice piece of work that dawn share with us. Thank you dawn for enlightening us. I don't know what would be Iqarurl Hassan's reaction to this otherwise very informative and enlightening article. Good article for Nestle to clarify about their brand image after court taken action against sub standard milk. but it is more essential to highlights the production process by farmers who are uneducated and they used injections to increase milk quantity rather then quality they also feed their cattle substandard and unhealthy foods to increase its profitability. @Dr UN Nandakumar Did you know our animals eat the fodder that is sprayed with horrible killing materials in the fields excluding the uses of the urea and the pesticides thus what has been eating the animals is the outcome in shape of milk and meat and their by products that we have been least discussing in the media because of their rush ads for the media. But it does not mean that the contents or the ingredients of the animal food has been changed and the milk or the meat and its by products are now need and clean and up to safety standards.Do we know how many tones of pesticides and the sprays are used in the fields annually and what has these materials impact on the quality of food and the environment,these things must be debated in the masses. Wonderful to know that we can have pure milk in the package of Nestle.Thanks for the efforts to get us know about it all.